In the Blending Options area of the Layer Style dialog box and the upper-right corner of the Layers panel, you see a pair of adjustments named Opacity and Fill Opacity, as shown in this figure. Both have an impact on the visibility of the content of your layer. When you reduce the Opacity setting for the layer, you make the layer content and any layer style partially or completely transparent. Reducing the Fill slider changes the opacity of the pixels on the layer but leaves any layer effects fully visible. Add some text to an image with the Type tool. 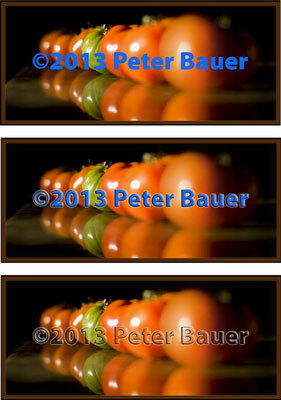 Apply a layer style to the type layer. A bevel, a thin black stroke, and perhaps an inner shadow or white outer glow make an excellent combination. Reduce the Fill slider to 0%. 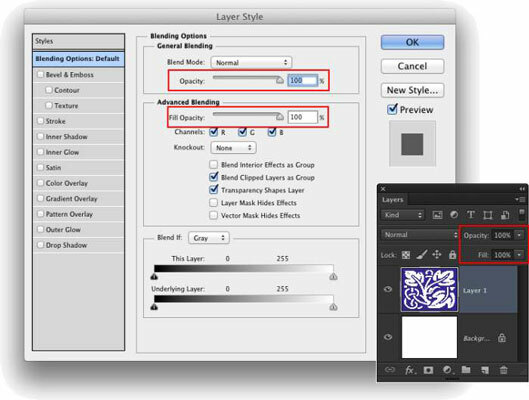 Adjust Fill at the top of the Layers panel or in the Layer Style dialog box’s Blending Options pane. You can click and type in the Fill field, click the arrow to the right of the field and drag the slider, or simply click the word Fill and drag to the left. The type layer disappears, but the layer effect remains. 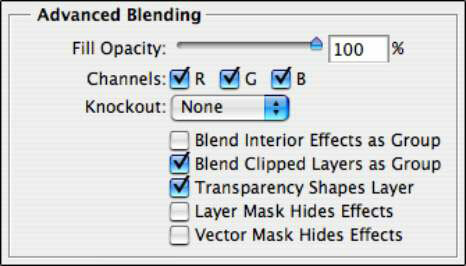 The Blending Options pane of the Layer Style dialog box offers you a number of other choices in the Advanced Blending area, as shown in this figure.